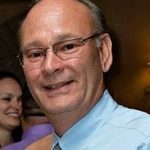 Added by Bill Bowman on August 21, 2016. 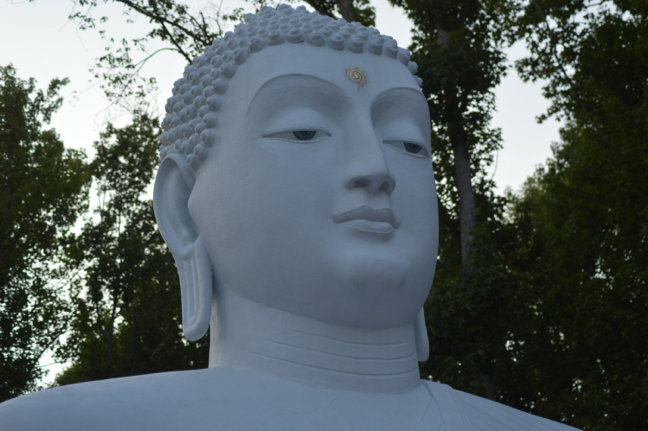 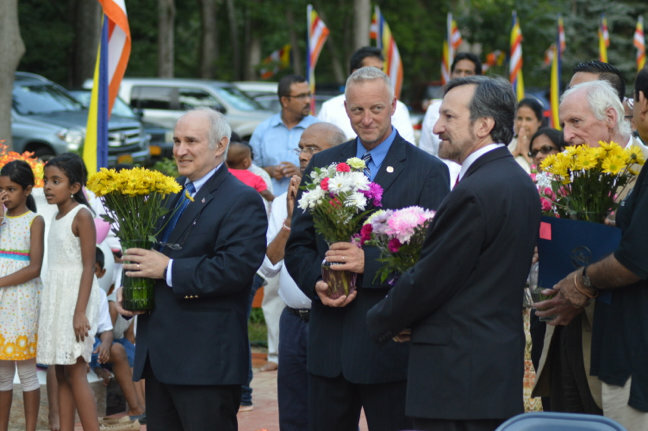 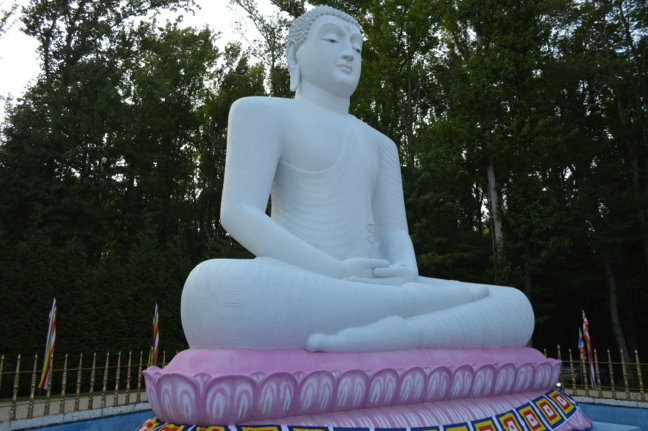 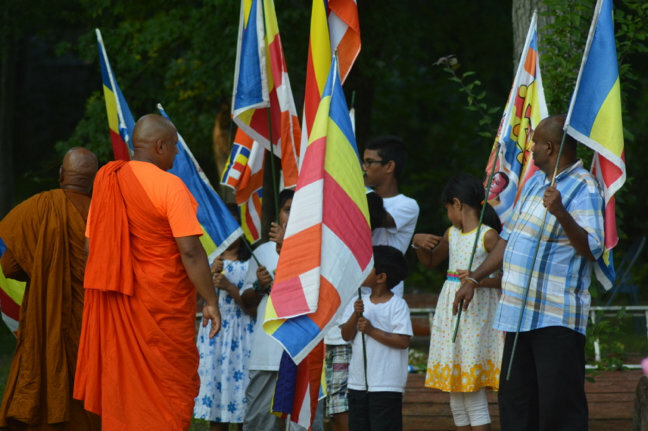 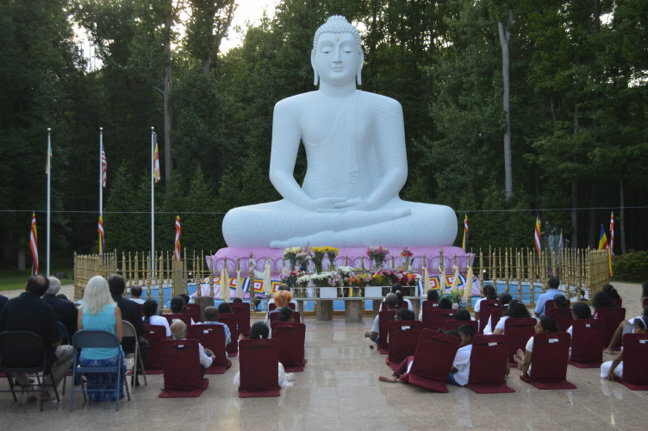 Visitors gathered at the New Jersey Buddhist Vihara Meditation Center on Route 27 Aug. 20 to celebrate the seventh anniversary of the Buddha statue’s installation. 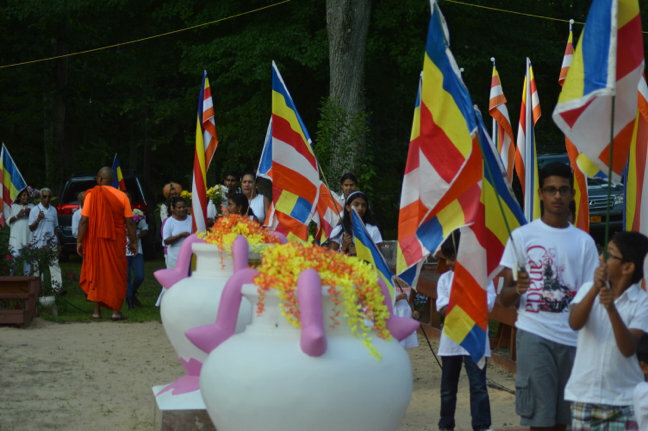 The New Jersey Buddhist Vihara Meditation Center on Route 27 held a day-long “birthday party” of sorts on Aug. 20. 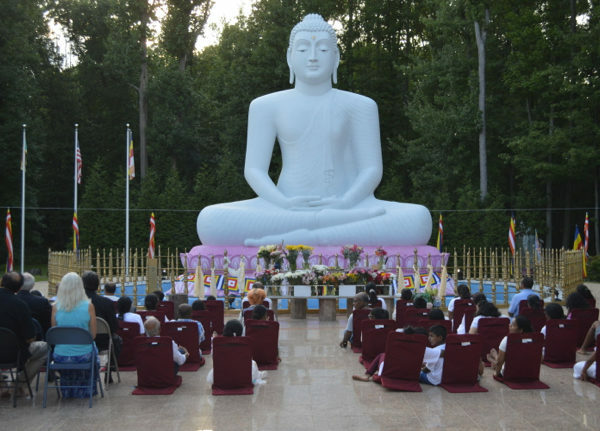 The “birthday boy” was the center’s 30-foot-tall Buddha statue, and the party was to commemorate the seventh anniversary of its installation. 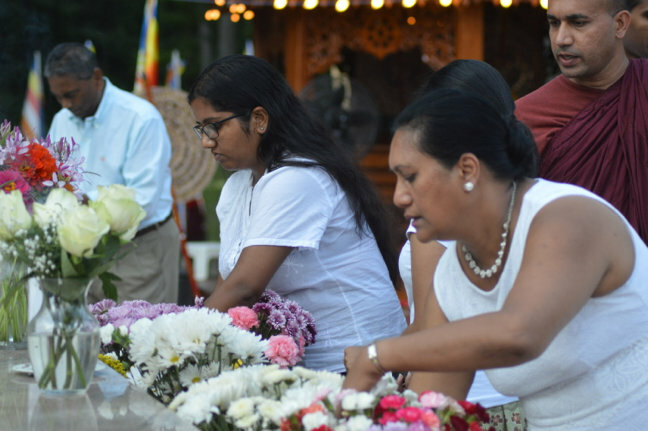 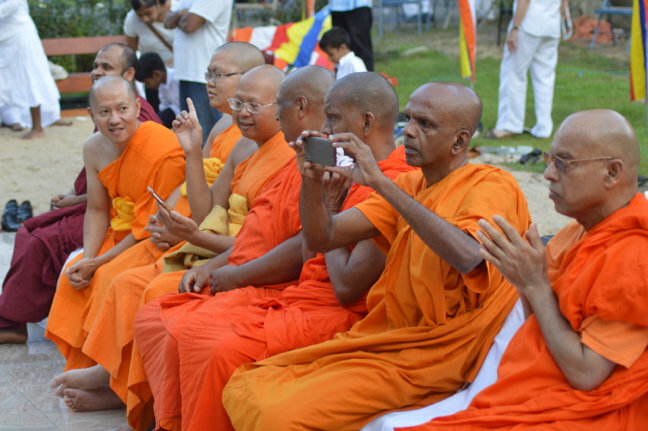 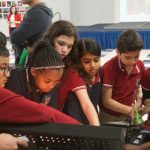 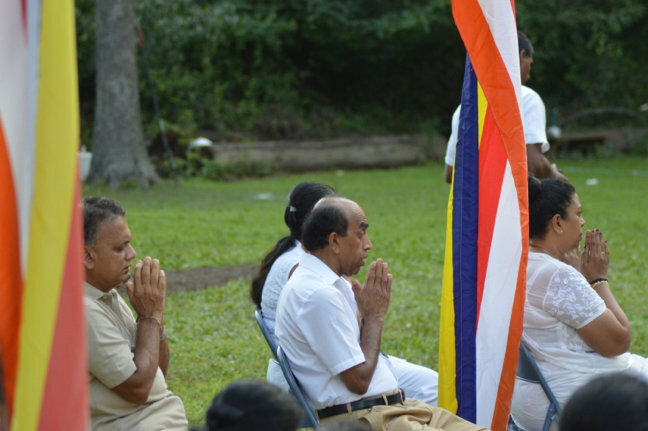 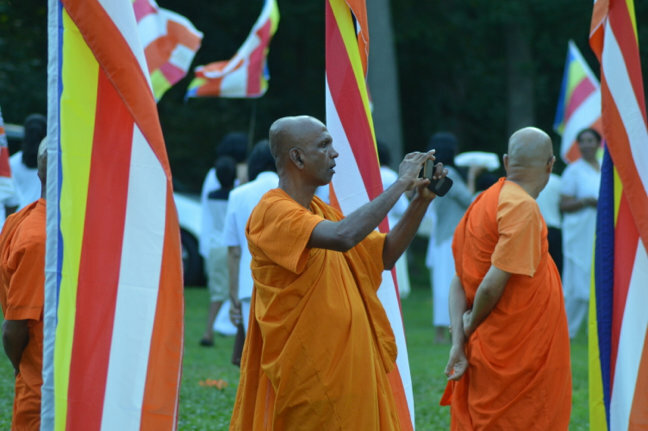 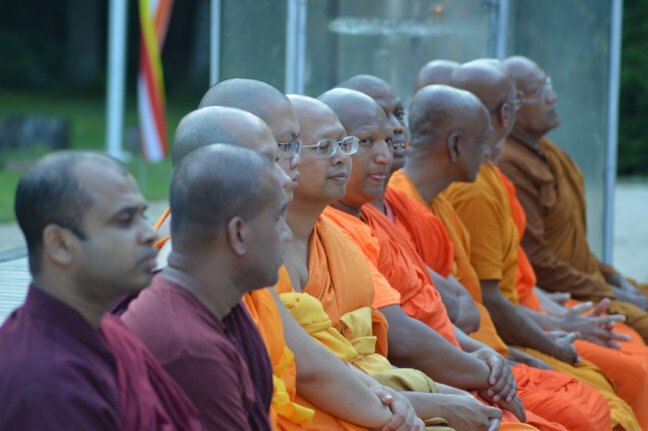 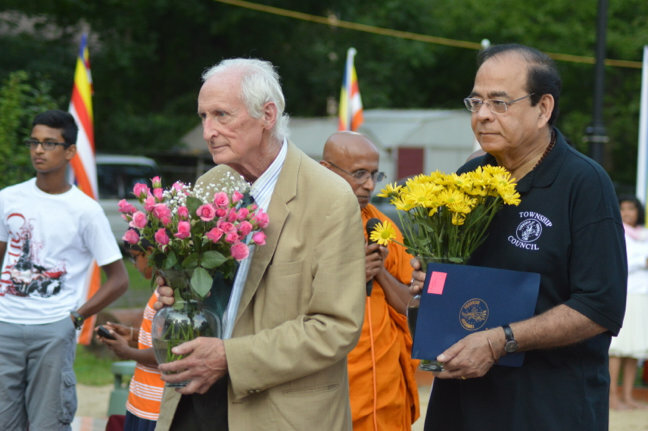 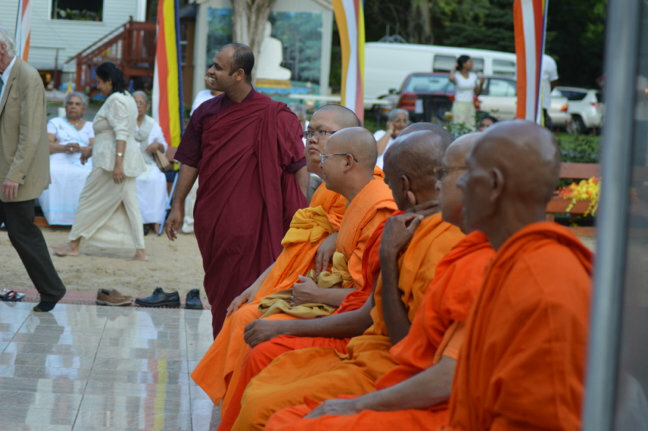 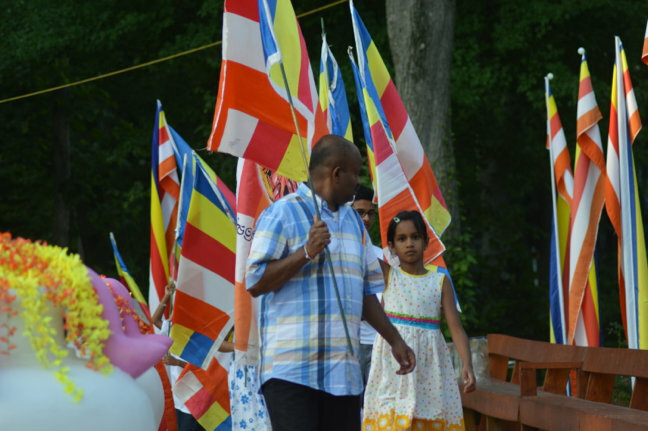 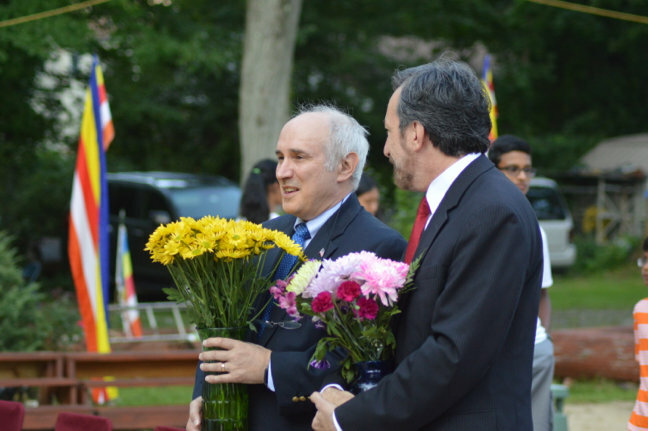 The celebration started early in the day, with visits from dignitaries such as a Sri Lankan ambassador and the president of a Japanese Buddhist temple in New York, said Wije Kottahechchi, the center’s chairman. 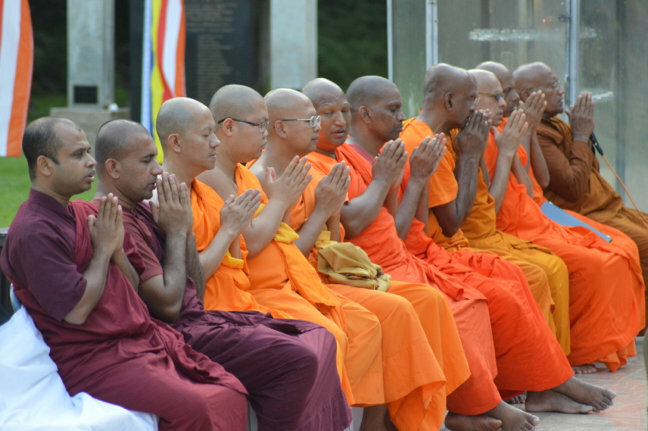 There was special chanting, he said, and the giving of alms to the center’s monks. 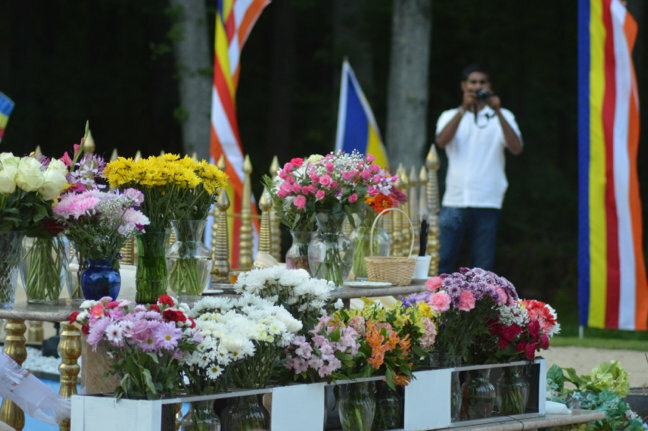 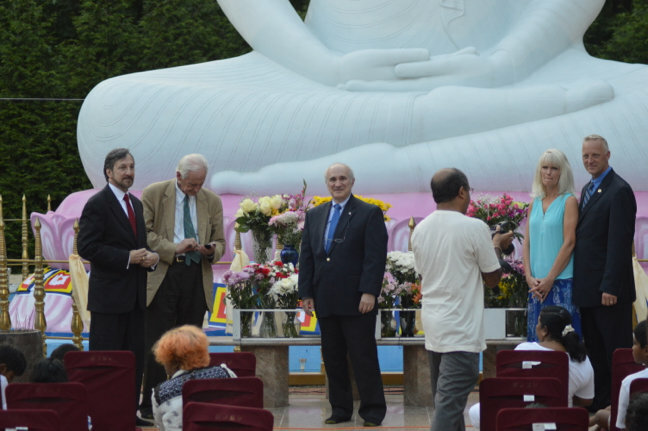 The evening celebration was highlighted by a flower procession, in which visitors carried pots of flowers around the center’s “meditation path” before circling the giant statue – which took two years to build and is reportedly the largest representation of sitting Buddha in the Western hemisphere – three times and laying the flowers on a table in front of it as an offering. 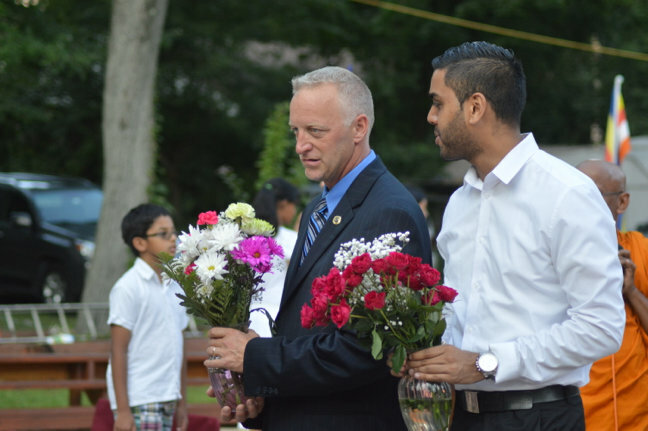 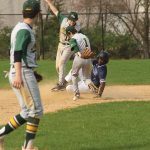 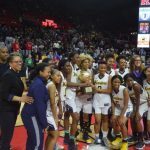 The afternoon celebration was attended by township officials, including Mayor Phillip Kramer, Deputy Mayor Ted Chase and Township Councilman Rajiv Prasad (D-At Large). 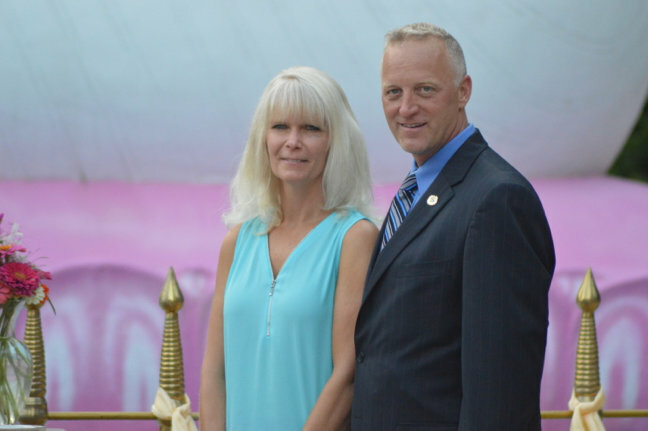 Also attending were Darrin Russo, the Democratic candidate for Somerset County Sheriff, and his wife, Denise, and Somerset County Freeholder Brian Levine. 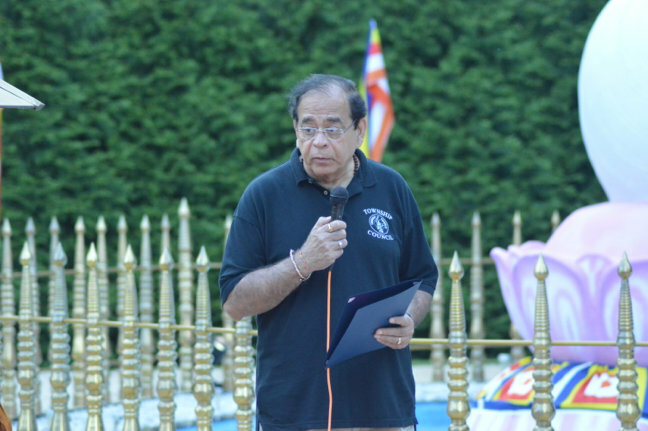 Prasad read a township proclamation honoring the event. 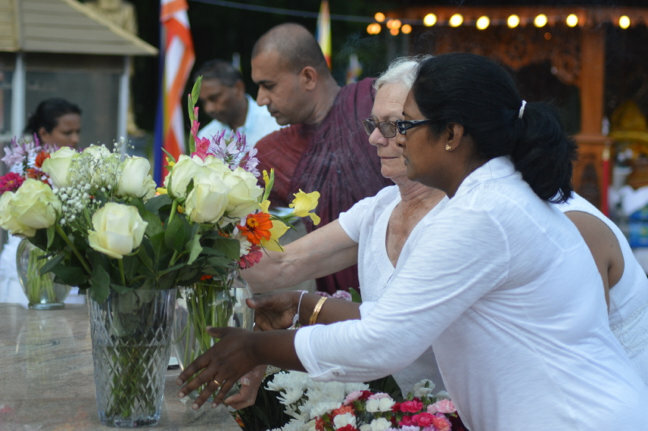 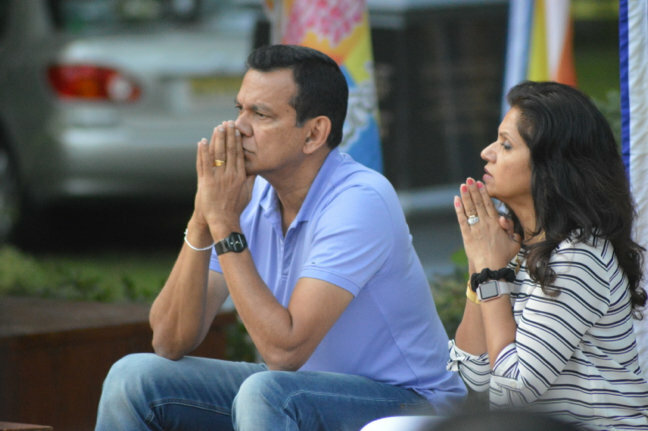 There was also chanting in the afternoon and evening, in a special gazebo that Kottahechchi said was flown in from Sri Lanka. 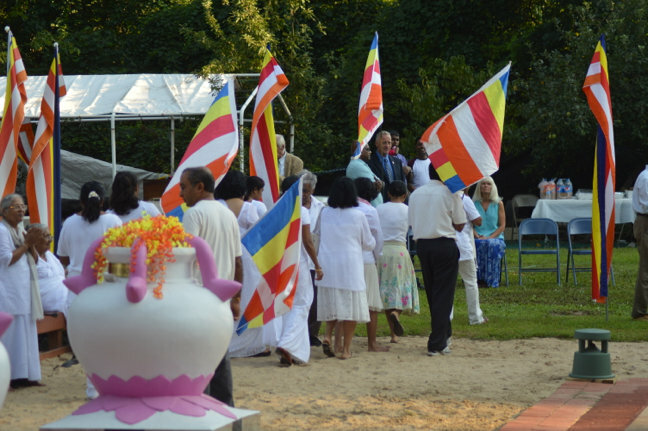 The evening was capped by a celebratory dinner cooked by the center’s members. 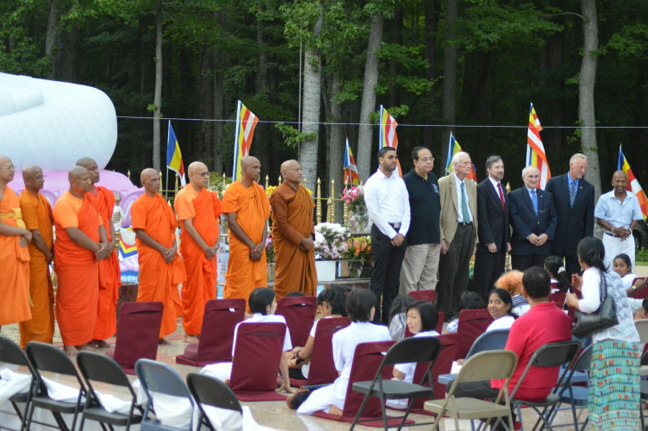 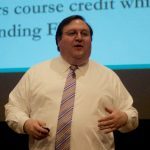 “This is very significant for us in the Buddhist community here in the Franklin area,” he said.